Match ends, Carpi 1, Sassuolo 3. Second Half ends, Carpi 1, Sassuolo 3. Nicola Sansone (Sassuolo) wins a free kick on the left wing. Attempt missed. Gaetano Letizia (Carpi) right footed shot from outside the box is too high. Assisted by Simone Verdi. Offside, Carpi. Riccardo Gagliolo tries a through ball, but Kevin Lasagna is caught offside. Simone Verdi (Carpi) is shown the yellow card for a bad foul. Foul by Simone Verdi (Carpi). Attempt saved. Matteo Politano (Sassuolo) right footed shot from outside the box is saved in the bottom right corner. Assisted by Lorenzo Pellegrini. Corner, Sassuolo. Conceded by Gaetano Letizia. Attempt blocked. Alfred Duncan (Sassuolo) left footed shot from outside the box is blocked. Assisted by Matteo Politano. Attempt missed. Isaac Cofie (Carpi) right footed shot from outside the box is high and wide to the right following a set piece situation. Riccardo Gagliolo (Carpi) wins a free kick on the left wing. Attempt blocked. Simone Verdi (Carpi) right footed shot from outside the box is blocked. Corner, Carpi. Conceded by Andrea Consigli. Foul by Matteo Politano (Sassuolo). Substitution, Sassuolo. Matteo Politano replaces Domenico Berardi. Raffaele Bianco (Carpi) wins a free kick in the attacking half. Substitution, Carpi. Jonathan de Guzmán replaces Matteo Mancosu. Delay in match Federico Peluso (Sassuolo) because of an injury. Attempt missed. Simone Verdi (Carpi) right footed shot from outside the box is just a bit too high from a direct free kick. Matteo Mancosu (Carpi) wins a free kick in the attacking half. Nicola Sansone (Sassuolo) is shown the yellow card. Offside, Sassuolo. Paolo Cannavaro tries a through ball, but Nicola Sansone is caught offside. Goal! Carpi 1, Sassuolo 3. Francesco Acerbi (Sassuolo) header from very close range to the centre of the goal. Assisted by Nicola Sansone with a cross following a corner. Corner, Sassuolo. Conceded by Simone Romagnoli. Attempt missed. Kevin Lasagna (Carpi) left footed shot from outside the box is high and wide to the left. Assisted by Gaetano Letizia. Substitution, Sassuolo. Paolo Cannavaro replaces Alessandro Longhi because of an injury. Delay in match Alessandro Longhi (Sassuolo) because of an injury. Francesco Acerbi (Sassuolo) wins a free kick in the defensive half. Foul by Kevin Lasagna (Carpi). Foul by Alessandro Longhi (Sassuolo). Lorenzo Pasciuti (Carpi) wins a free kick on the right wing. Substitution, Carpi. Simone Verdi replaces Antonio Di Gaudio. Gregoire Defrel (Sassuolo) wins a free kick in the defensive half. Foul by Riccardo Gagliolo (Carpi). Matteo Mancosu (Carpi) wins a free kick in the defensive half. Corner, Sassuolo. Conceded by Raffaele Bianco. Corner, Carpi. Conceded by Francesco Magnanelli. Sime Vrsaljko (Sassuolo) is shown the yellow card for a bad foul. Antonio Di Gaudio (Carpi) wins a free kick on the left wing. Alessandro Longhi (Sassuolo) wins a free kick in the defensive half. Foul by Lorenzo Pasciuti (Carpi). Attempt missed. Raffaele Bianco (Carpi) right footed shot from outside the box is high and wide to the right. 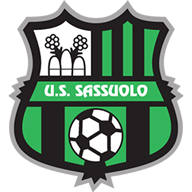 Second Half begins Carpi 1, Sassuolo 2. Substitution, Carpi. Kevin Lasagna replaces Filippo Porcari. First Half ends, Carpi 1, Sassuolo 2. Fabrizio Poli (Carpi) wins a free kick in the defensive half. Attempt saved. Domenico Berardi (Sassuolo) left footed shot from very close range is saved in the centre of the goal. Assisted by Alfred Duncan with a cross. Dangerous play by Isaac Cofie (Carpi). Raffaele Bianco (Carpi) is shown the yellow card for a bad foul. Foul by Raffaele Bianco (Carpi). Attempt missed. Matteo Mancosu (Carpi) right footed shot from the right side of the six yard box is close, but misses to the right. Assisted by Simone Romagnoli following a corner. Attempt blocked. Simone Romagnoli (Carpi) header from the centre of the box is blocked. Assisted by Filippo Porcari with a cross. Corner, Carpi. Conceded by Federico Peluso. Attempt missed. Simone Romagnoli (Carpi) header from the centre of the box misses to the left. Assisted by Lorenzo Pasciuti with a cross following a set piece situation. Hand ball by Nicola Sansone (Sassuolo). Corner, Carpi. Conceded by Francesco Acerbi. Goal! Carpi 1, Sassuolo 2. Gregoire Defrel (Sassuolo) right footed shot from the centre of the box to the bottom left corner. Assisted by Nicola Sansone. Gaetano Letizia (Carpi) wins a free kick on the right wing. Attempt saved. Gregoire Defrel (Sassuolo) left footed shot from the centre of the box is saved in the bottom right corner. Assisted by Alfred Duncan. Goal! Carpi 1, Sassuolo 1. Riccardo Gagliolo (Carpi) header from very close range to the bottom right corner. Assisted by Lorenzo Pasciuti with a cross following a set piece situation. Attempt saved. Domenico Berardi (Sassuolo) left footed shot from a difficult angle and long range on the right is saved in the bottom right corner. Assisted by Nicola Sansone. Corner, Sassuolo. Conceded by Fabrizio Poli. Riccardo Gagliolo (Carpi) is shown the yellow card. Gregoire Defrel (Sassuolo) wins a free kick on the left wing. Foul by Simone Romagnoli (Carpi). Attempt missed. Isaac Cofie (Carpi) right footed shot from the centre of the box misses to the left. Assisted by Matteo Mancosu. Foul by Filippo Porcari (Carpi). Attempt missed. Domenico Berardi (Sassuolo) left footed shot from outside the box is just a bit too high. Assisted by Gregoire Defrel. Goal! Carpi 0, Sassuolo 1. Nicola Sansone (Sassuolo) left footed shot from the centre of the box to the high centre of the goal. Assisted by Gregoire Defrel with a through ball. Foul by Isaac Cofie (Carpi).